Verge Inclusive Athletics, Inc. is a 501(c)3 nonprofit, inclusive running club for youth and adults of all abilities, with and without special needs, dedicated to improving the health and lives of its participants by helping them to expand their limits in a fun, safe, team environment with the individual support and challenge they need for success and athletic, social, and personal growth. OPPORTUNITY - Provide opportunity to those who otherwise don't have access to it. INDIVIDUALIZED SUPPORT - Get to know the individual and support their needs. EQUAL CHALLENGE - Limitations are considered, but not excuses. Limits are expandable - if not linear, then in other dimensions. Encourage and expect everyone to give their best effort at a level appropriate for them. You get out what you put in. SHOWING UP is half the battle!!! PRESENCE - Be present in body and mind: show up CONSISTENTLY; be ON TIME; give your BEST EFFORT on the day. And remember that your absence negatively impacts everyone. Inconsistent attendance greatly affects what we, as a group, do and the quality of how we do it and what we all get out of it. Inconsistent attendance also negates the point of working toward a goal. PERSISTENCE - Be persistent. "When it's tough, don't give up." The reward is not always a successful end result; it is often the journey itself, the discoveries made and fun had along the way, and the lessons learned. INTEGRITY - Be RESPECTFUL of, and HONEST with, yourself and others. 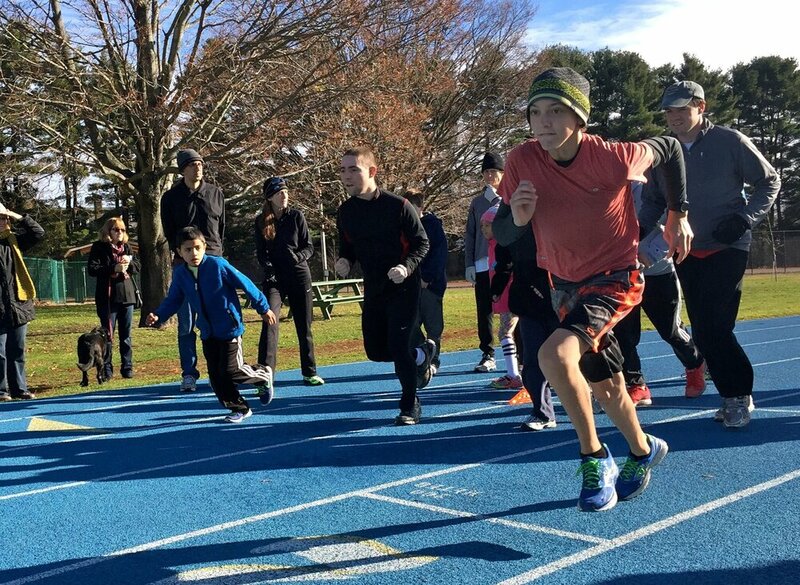 A common challenge we've encountered in working with challenged individuals or people with limited athletic experience is getting past the low expectations of the individual and/or the parents, and the misconception that running does not require practice. The magic of running is that the benefits extend far beyond athletic performance, and that everyone has the capacity to develop and grow. Developing aerobic and run fitness takes more than once a week or two, especially for teens and adults. There is also a common conception that running is not a skills sport so it does not need to be practiced however, most of the people who come out to run with us have difficulties with focus and motor skills. Therefore, running most definitely is a skills sport; the most basic of them all. We spend time at practices working on focus; motor skills including coordination, balance, and agility; and core strength. Lastly, routine is important in learning to be comfortable in an environment, which is important for many of our runners. And for those older kids, now is the time to instill habits of exercise discipline so they will hopefully continue a lifelong active lifestyle. Our runners are capable of so much. Let's always give them the chance to show it and discover it for themselves! Verge is a 501(c)3 nonprofit athletic organization. 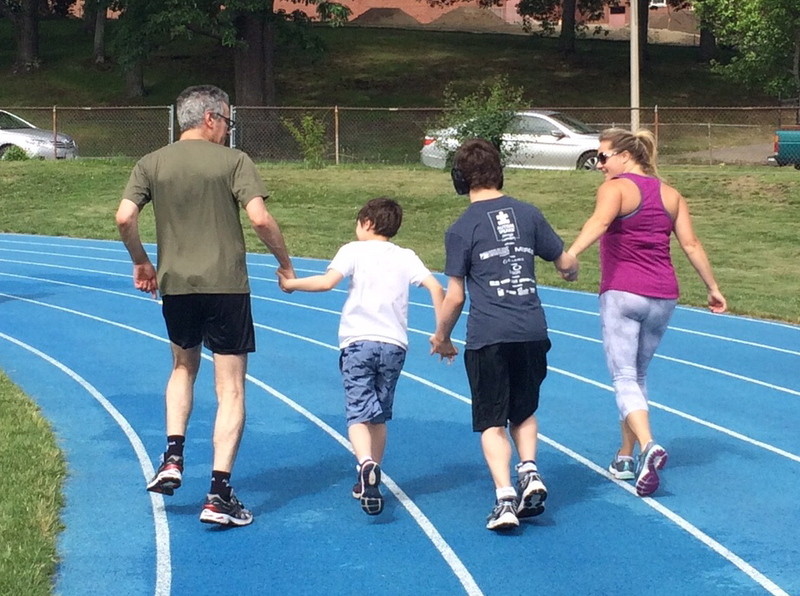 Also known as Team Verge, we are an inclusive running club, open to adults and youth ages 7+ with and without intellectual, developmental, emotional/behavioral, and physical challenges. Family members and friends are welcome and encouraged to join. We offer seasonal coached club practices and supplemental development programs throughout the year. Members also have opportunities to participate or compete in team meets, track, road races, cross country, and trail running. Expanding limits is the core of Team Verge's goal. We strive to help members bust barriers, cross thresholds, and make physical, social, and mental connections so that they are always growing...always on the verge of the next level. Team Verge is dedicated to supporting every person’s goals and level of performance, whether it is to keep regularly active and social, to prepare for joining school sports, or to train to race or develop their running. Team Verge aims to provide a supportive, educational, fun, and friendly team environment where members, through a community effort of member families and volunteers, get the individual attention they need, and feel safe trying new things and pushing their limits, which inspires and encourages self-belief, discovery, and achievement. Through the fun and challenge of sport, individuals learn social and emotional skills, independence, and gain the confidence and skills needed to grow personally and athletically in order to reach their ever expanding levels of potential. Run club members train in groups and one on one at their ability level under the direction and guidance of volunteer experienced coaches, and are paired with volunteer peer coaches/run buddies as needed. Families participate as well. Our supplemental development programs address the needs of many of our runners to help them advance fitness by either improving on functional abilities, or taking their running to the next level.